Successfully Added Super Sound 1-Din Car Audio + Video System - 52Wx4 Output to your Shopping Cart. 1 Din Car Audio and Video system, letting you play your music and DVDs with an incredible 52W x 4 Sound Output at an unmatchable low wholesale price. 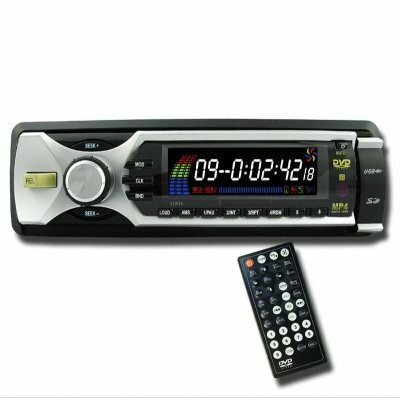 With this Car Media Player you will be able to play DVDs and VCDs, as well as CDs and CD-Rs, and even MP3 and MP4 files. As well, it features a SD card reader and USB Port for easy playing of your digital files. After installation, all you will need is a LCD display of your choice and you will be ready to be blown away by this no MOQ item, direct from the factory at a super low price..